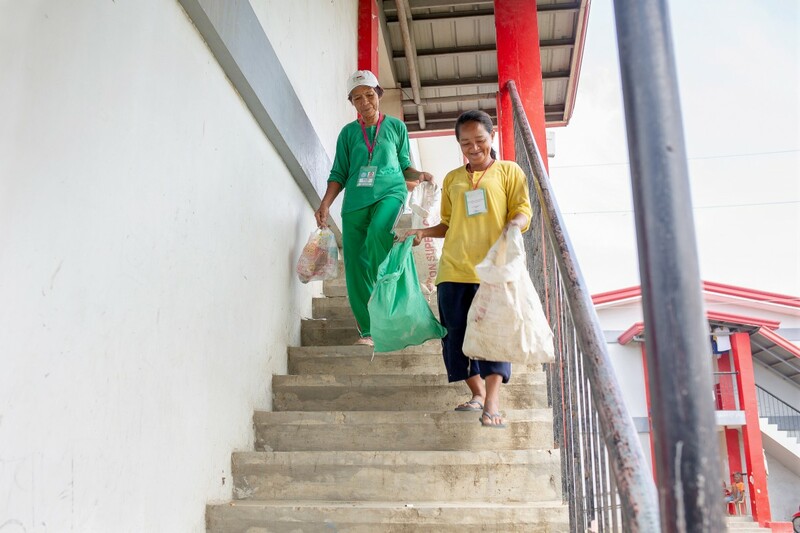 In the Philippines, Marissa Cabalan has found a way to turn garbage into opportunity. There’s also an added bonus: She is helping her whole community prepare for disasters in the process. Marissa Cabalan’s days have a rhythm. She wakes up early and takes care of her family. She cooks breakfast for her six children and husband, washes clothes, and feeds their bird and dog. She grabs a lanyard with her ID card, pulls out her red bicycle with its metal side-cart, and pedals away to the far side of the housing development. Arriving at a long, large building with tiny, individual apartments, she climbs up to the second floor. It’s better to start at the furthest building — and on the second story — because the glass bottles and jars quickly get heavy. She’s here to collect any kind of recyclable waste she can sell. She knocks on each closed door and calls into open ones, “Mangongolekta po ng basura!” (“I’m here to collect your trash!”) Families hand out empty containers that once held the essentials of daily life: plastic that still smells of soy sauce or cooking oil, glass bottles with dried drops of sticky soda, tubs that once held peanut butter or soap. When her cart is full, or she’s run out of apartments, she rides back to her house. Her youngest daughter, Jenny, age 5, runs out to greet her when she rounds the corner, then skips ahead to their one-room apartment. Marissa’s work collecting recycling door-to-door is a tiny piece of a colossal effort to keep garbage out of Manila’s waterways. 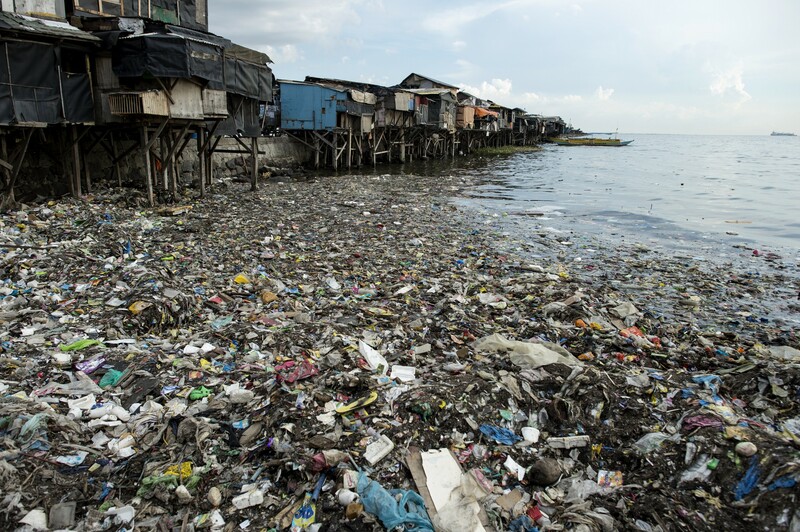 The metro area of Manila is crisscrossed with rivers, ponds, lakes and lagoons that all eventually pour into Manila Bay — an important port, but one that is polluted and clogged with trash. Even with normal seasonal rains, these waterways are prone to flooding, and the trash keeps them from draining when floods occur. The neighborhoods at highest risk are the ones where the poorest families live. The government dredges main waterways, but keeping trash out of drains and sewers in the first place is critical to limiting the severity and length of floods. However, as Marissa has discovered, this trash has value. The recyclable trash can be sold, but it takes someone who is willing to collect, sort, and transport it. 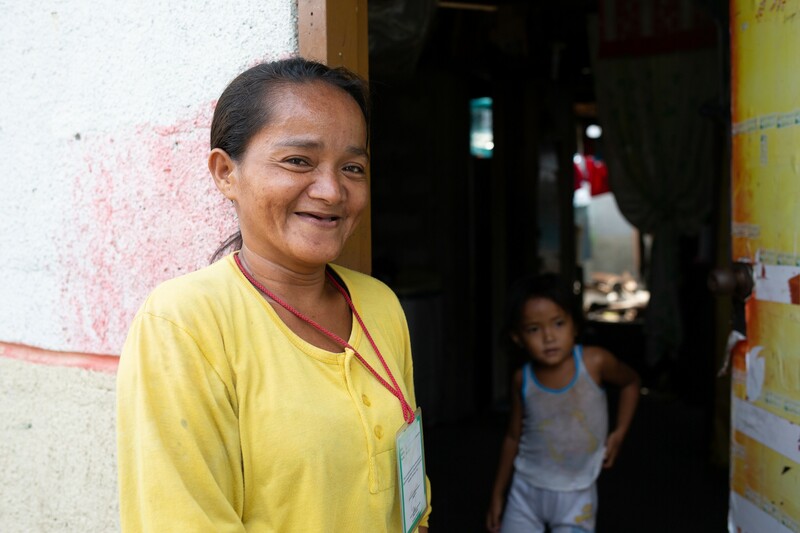 With support from USAID’s Office of U.S. Foreign Disaster Assistance, Marissa is not only keeping her neighborhood clean and keeping waste out of Manila Bay, she is providing for her family. And that support came at one of the scariest moments of her life. Marissa desperately wanted to work, but needed a jumpstart to go into business for herself. And her community needed help keeping garbage out of the water. Catholic Relief Services (CRS) and Caritas made the match. The project helped Marissa start her new business. 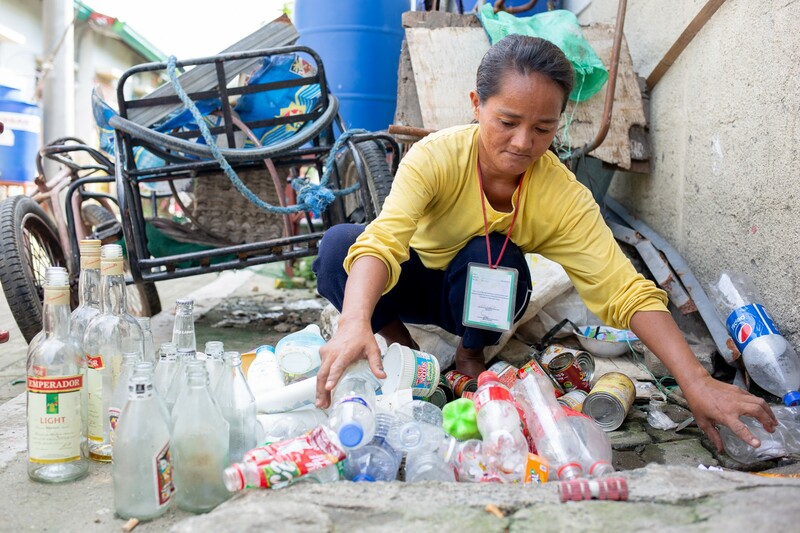 It arranged permission from the local government for Marissa to work as a recyclable waste collector. 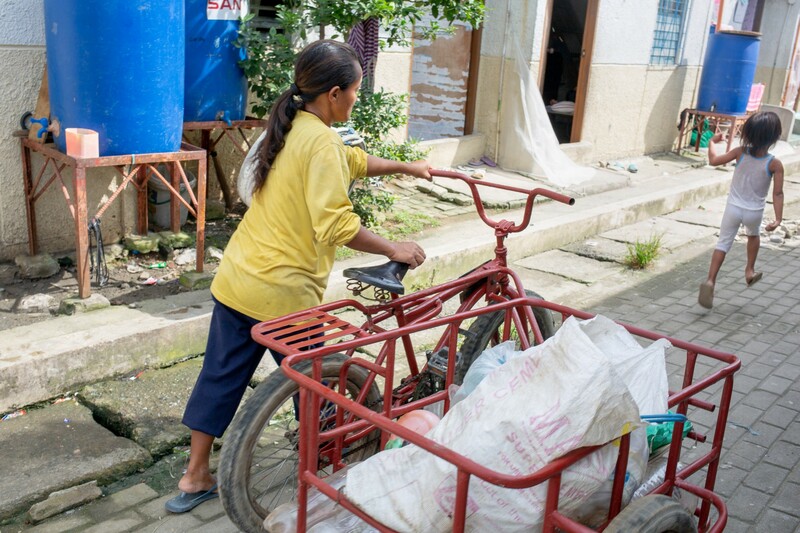 The project also provided her with a bicycle and cart and helped her develop basic business management skills. 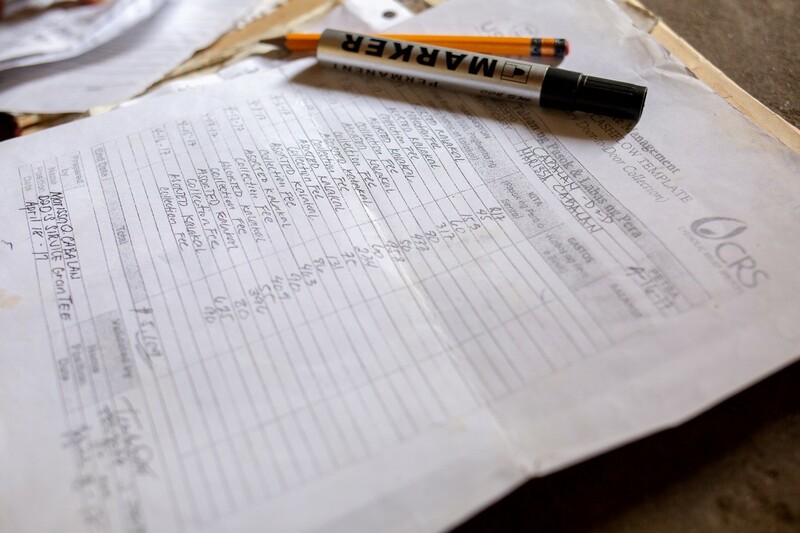 “I learned how to record my earnings and expenses, so I can watch my finances over time,” Marissa shared as she flipped through notebooks of carefully documented accounts. Marissa is also a member of a CRS savings and internal lending group, which helps her build capital by saving small amounts each week. She can also borrow from the group at low interest rates. 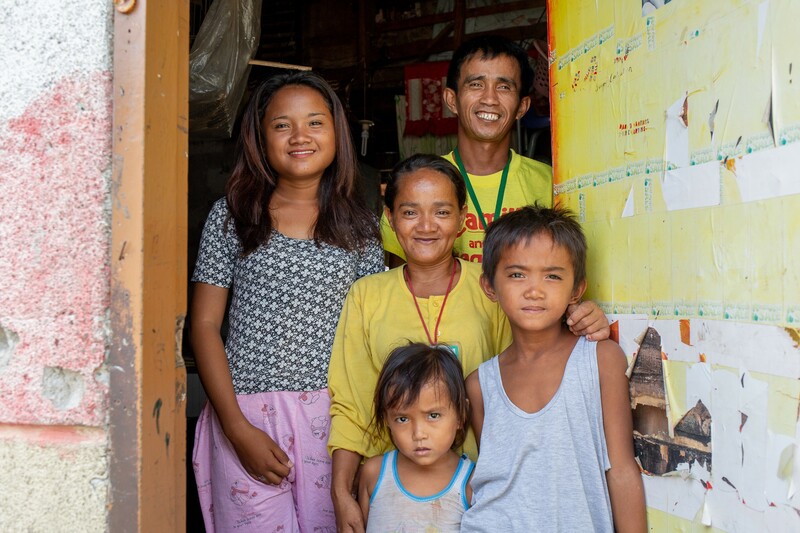 That savings will help the Cabalan family survive future shocks, whether from natural disasters or family emergencies, and Marissa is now thinking of new ways to earn and save. Using the bicycle, she wants to branch out and begin buying and reselling fish from a distant market. After sorting that morning’s collection, Marissa loads the recyclables back into the cart, wipes her forehead, and throws her leg over her bicycle to begin the journey to the central recycling shop. Her time for the trip has been cut in half with the bicycle — it’s an hour round trip instead of two hours by foot. It’s still tiring work with the sun beating down, but now she has the satisfaction of knowing that her family is taken care of and that every time her young daughter watches her ride away, she’s learning that hard work pays off. Story and photos by Jen Hardy, Catholic Relief Services. 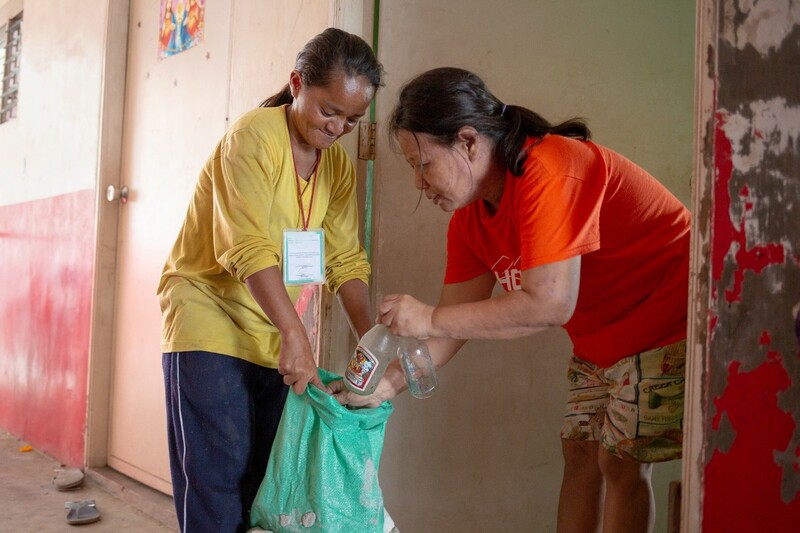 Learn more about Catholic Relief Services’ work in the Philippines. Follow them on Facebook, Twitter, and Instagram. 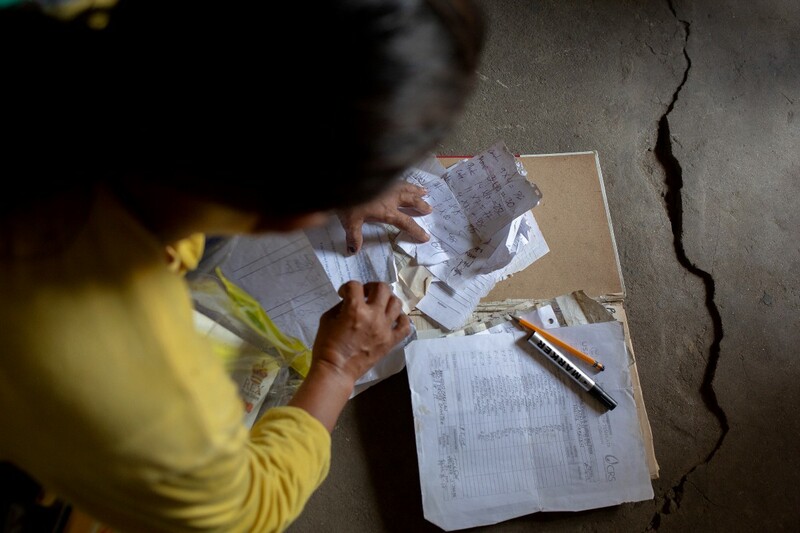 Learn more about USAID/OFDA’s work preparing people for disasters. Follow them on Facebook, Twitter, and Instagram.